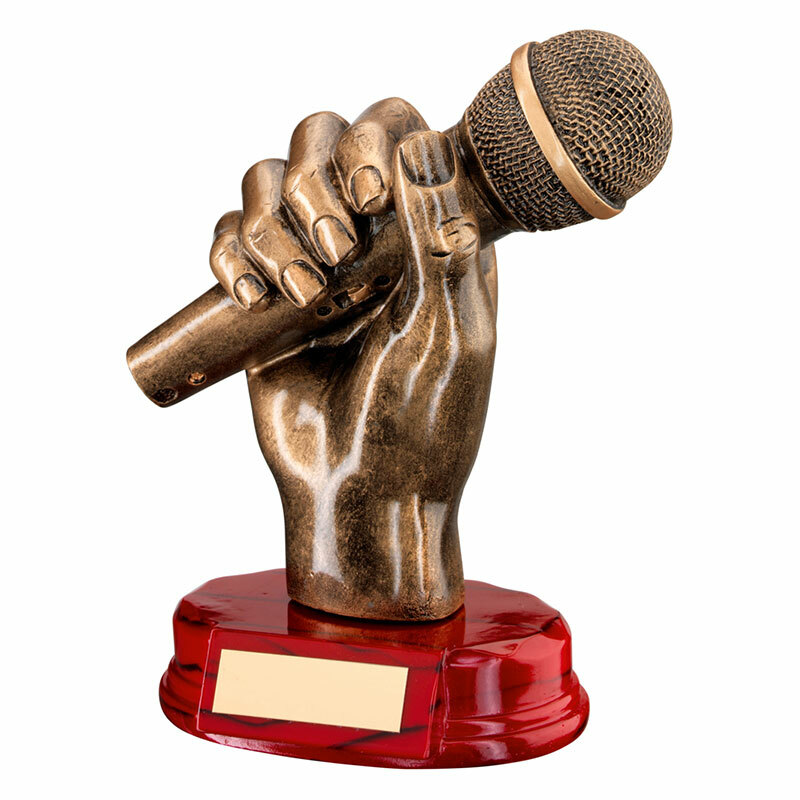 An attractive trophy for singers, comedians and stage performers, featuring a resin model of a hand holding a microphone. Standing 7in tall, it has an antique bronze and gold finish. These microphone awards are mounted on a wood base with engraving plaque.